Your daily work occupies a major position in their life. It is your personal and unique offering to yourself, to your world and to God, your Creator. Therefore, it matters what you do, how you do it and who you become in the process of doing it. Unfortunately, many people find it difficult to fulfill their true work potentials because they are currently dissatisfied with their careers for various reasons. As it happens, constant dissatisfaction is not a positive thing; it can have far-reaching negative effects on a person’s health, their self-esteem and confidence, and even their relationships. This is why the reasonable answer to career dissatisfaction is to deal with it. Let us look at a simple 2-step formula to handle career dissatisfaction. Step One: Identify the real cause of dissatisfaction. When a person is facing career dissatisfaction, it is advisable to determine where the real problem lies. If you do not zero in on the real and true cause of the dissatisfaction that you feel, you may end up taking unrealistic steps to deal with it. Very importantly, you need to differentiate between the intrinsic nature of your career and the external incidents of your career. The intrinsic nature of your career involves the very core of the work you do on a daily (or regular basis). The external incidents, on the other hand, are the other things that you have to pass through to get the work done like: the location or ergonomics of your working space, unreasonable business policies, irrational associates, colleagues or superiors, or the long commute to your place of business. Admittedly, all these could bring you a huge amount of stress and dissatisfaction, but they don’t necessarily have to do with the nature of the work itself. You need discover the real source of the problem. For instance, if you were to do the same work under different conditions would you be satisfied? Step Two: Take the required action. When you realise the source of the dissatisfaction, it’s easier for you to take the required steps to change the situation. The change you seek may or may not happen immediately, but working towards a solution will have a positive effect on you. You won’t feel like you are in a situation which you cannot understand or control. The required step will depend on the source of the dissatisfaction that you have identified in Step One. You may need to discover which career will be more suitable for you (if the dissatisfaction has to do with the nature of the work), or you may need to get more skills, look for an easier way to commute or find a specific way of dealing with your colleagues/boss. When you understand the situation better and know what to do, you will be on your way to getting unstuck and dealing with career dissatisfaction. And if you keep moving in the right direction, eventually, you’ll be standing where you need to be. **I discuss more specific and practical steps on how to deal with career dissatisfaction in my upcoming book Create Your Ideal Career. If you would like to get this book or you would like more information, please visit www.TinukemiOlaoye.com or send an email to services@tinukemiolaoye.com. ​It’s all well and good to encourage people to take action when it comes to building a purposeful and successful career. Unfortunately, people can only take action when they know just what to do- and many people actually have no idea of what they need to do and the steps they need to take. If they knew the right thing to do, perhaps they might do it. 1. Pray for wisdom. See, when you don’t know something, you don’t know it. When you’re not sure, you’re not sure. Acting like you know something when you don’t know is simply not smart. I believe in a God who gives wisdom without reproach, no matter how many times you seek Him for it. And on the plus side, there’s no situation too twisted or messy that He can’t figure out a way. Ask Him for clarity and direction. 2. Clarify your personal motives. When you need clarity, you cannot avoid some introspection. You will need to decide what you believe you want and why you want it, whether the reason is good or bad. You can at least be honest to yourself. And this could help you know the right step to take. 3. Make use of good resources. Get access to relevant materials and resources like books, audios, videos, programmes. They will give you information. When you are better informed, it is easier to make the right decisions. 4. Seek counsel from trusted people. You may have all kinds of friends, colleagues, relatives and other associations, but even you know the kind of people you can talk to. Open up to them and seek counsel. If you can afford to, you can also hire the services of a professional coach to help you get clarity. Professional coaching truly works. 5. Take action. When you have some measure of clarity, no matter how little, take some kind of action, even if they are baby steps. Greater clarity usually follows action. There are certain things you may not be able to see from your current position. When you move, things have a way of becoming even clearer. 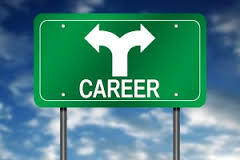 Making the right decisions for your career is not as difficult as you may imagine it to be. I pray that as you seek clarity, you will get it, know it and follow through on it. Your personal values are a part of the things that make you who you are. They are like your personal guiding principles, ideas and concepts. They determine your decisions, behavior, words, and actions. Examples of personal values include adventure, balance, challenge, creativity, excellence, faith, family, flexibility, friendship, fulfillment, fun, godliness, independence, passion, privacy, service, status, variety and wealth. Even though your values are acquired over time from your beliefs and your environment, they have become a core part of who you are. You may not realise it, but when it comes to the work you do, they largely determine how far you would compromise or allow yourself to go. 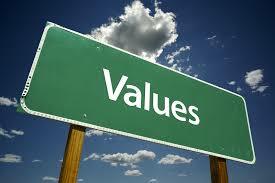 If the nature or environment of your work conflicts with your values, you may not be fully engaged in that work. You may feel such inner discontent and confusion or even sabotage your own chances of growth in that career. Working according to your values creates peace of mind and the potential for success, because you are living authentically without confusion, guilt, or shame. Even small changes to align your career with your values can create a positive shift in your feelings and attitude. When you need to make a huge or small career decision, there are many more things to consider than the potential income or growth opportunities of that career. You need to honestly ask yourself if the nature of that career is in sync with who you are and the things that you believe in and hold dear. When your work is aligned with your personal values, you’ll be positioning yourself for freedom, growth and success in your career. * I shed more light on discovering your personal values and aligning them to your work in my upcoming book ‘Create Your Ideal Career‘. If you would like to get this book when it becomes aavailable or if you would like more information, please visit www.tinukemiolaoye.com. 2017 has started and it’s well on its way. What will make this year different from the last year or the previous years? If you have set goals for the year, you have taken a very good and important step, but you cannot afford to stop there. Let this be the year that you actually bring those goals to life. This year, take a chance on yourself. I know what you’re thinking: What if your plans don’t turn out the way you intended? What if people misunderstand you or even laugh at you? What if you make mistakes in the process? Yes, it is possible that the final outcome of your plans would be different from what you intended, but that’s not always a bad thing. Things will always fall into place somehow, if you try. You will never move from where you are if you do not take a chance on yourself. If you do not take a chance on yourself, why should anyone take a chance on you? Tell your closest friends and relatives what you want to do. Saying it loud to someone else helps you to take ownership of it and also keeps you accountable to the people closer to you. Start a new hobby in line with what you want to do. Even if the end point is to make it a full-time venture, you can start it as a hobby or an avocation. Volunteer to help others who are already doing something you would like to do. Most people would be delighted to share their knowledge with someone and have someone help them out. Enroll for a course, seminar or training. Put your money where your heart is. This will also build your courage and confidence. Work with a professional coach. Having a coach in your corner is perhaps the most effective way to get results and see your dreams come to life. Working with a coach is easier than you think and more rewarding than you can imagine. This year, take a chance on yourself! Do you struggle to find the energy to pursue your vision? Believe it or not this is a valid challenge worthy of mention. Have you ever been in a situation where you know what you ought to do, but you just can’t seem to find the physical, mental or emotional energy to do it? Well, I’ve been there. So I know that it can be just as big a hindrance as not finding the time to do what you ought to do. In fact, when you have the time and you don’t have the energy, you may feel quite guilty of ‘wasting’ time. And, of course, that doesn’t help. So what do you do? I’ll be practical and share a few tips that have worked for me in the past. Pray. Yep. There it is again- prayer. Ask God for help and He will help you. Believe me, if you trust Him enough to turn to Him for help, then He is willing to help you and He will help you. It works, all the time. Sleep. You read that right. Create the time to really sleep. Many times, when you can’t seem to find the physical or emotional strength, the reason is usually the simplest one: you’re tired. And when you’re tired, you need to sleep very well. Don’t feel guilty about getting in those extra hours of sleep. You cannot be creative or energetic when you’re tired. You’re actually doing yourself and the world around you a favour if you sleep well. Recently, I allowed myself to enjoy the ‘guilty’ pleasure of some extra sleep. It was so refreshing, and I felt renewed and energised. When I got back to my work, I got twice as much result in the regular amount of time. Go Somewhere New. Go somewhere that you have never been before. You don’t have to take a trip out of the country or the state. It can be as simple as going to the other side of town to have lunch or meet up with family, friends or colleague. This will refresh you. Watch Your Nutrition. As basic as this sounds, many of us don’t do this right. Eat as healthy as you can, drink as healthy as you can and give your body the right kind of raw materials to work with in the right measure. Get Active. Walk around. Do some extra exercise. This will help you to get your blood and all kinds of juices flowing right in your body. And it will help your energy level. Incorporate some of these tips into your regular routine, and not only will you be get the physical, emotional and intellectual momentum that you need, you will also be able to sustain it. It will all be worth it in the end. You can be all that you were created to be. In my experience with some of the people I meet, their problem is not about knowing their vision in their relevant season of life. These ones already know what they want to do, they have their vision, but they just can’t seem to find the time to actualise it. The legitimate needs of life get in the way- family, work, extra business, social commitments, and even rest and relaxation. Yes, these needs are valid. All the same, you can’t afford to wait for a perfect situation. That time will never come. Many of life’s commitments will only increase as time goes by and your many roles will become even more robust and demanding. I get it and I’m here to help. There is always a way out. If you’re struggling for time in the midst of your regular routine, but you’d still like to get started on what has been laid on your heart, this is for you. You can use the following tips to help you to create more time to fulfil your vision and live the life that you know God has called you to live. 1) Pray. 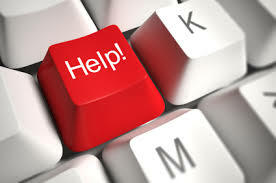 Ask God for help. The whole point of having a relationship with God is to be able to lean on His wisdom and strength. He can show you where you’re ‘leaking’ time, and strengthen you to use your time more profitably and productively. 2) Measure Your Activities. Take one week to measure your activities. Draw up a calendar of your time for one full week, hour by hour. Then at the end of each day, fill in that calendar with the activities that you did for that day. When you do this for a full week, you will have a clearer picture of what you usually do with your time. This is very important because when you have an idea of how you use your time, then you can make an informed decision. 3) Reassign Time Slots. Now that you know how you usually spend your time, it’s time to bring out the scissors. You have to be determined about this. No matter what we all say, everyone has some ‘down’ time they can spare in their daily or weekly routine. Carve out blocks of time as much as possible during the week. Be realistic about this. It can be one hour every day, or two hours twice a week, or one hour three times a week. Dedicate that time to pursuing the desires and ideas that God has put in your heart. Every little bit of time will add up. 4) Get External Help. You’re trying to change a habit here, and you need every bit of help that you can get. Your external help could range from one point to the other. You may decide to work with a coach or get a partner that can keep you accountable. Or you may decide to set an alarm 30 minutes before your allocated time starts to help you prepare, it’s really up to you. So, there you go. Use these tips to help you create more time to be the person you were meant to be. It will take discipline and sacrifice to form new purposeful and productive habits, but it will be worth it in the end, I promise. You can do it. If you need a cheerleader, send me an email on contact@thelifeaholic.com and I’ll encourage you.